Lynas and Oswald swim over to Mr. Smith for feeding time. 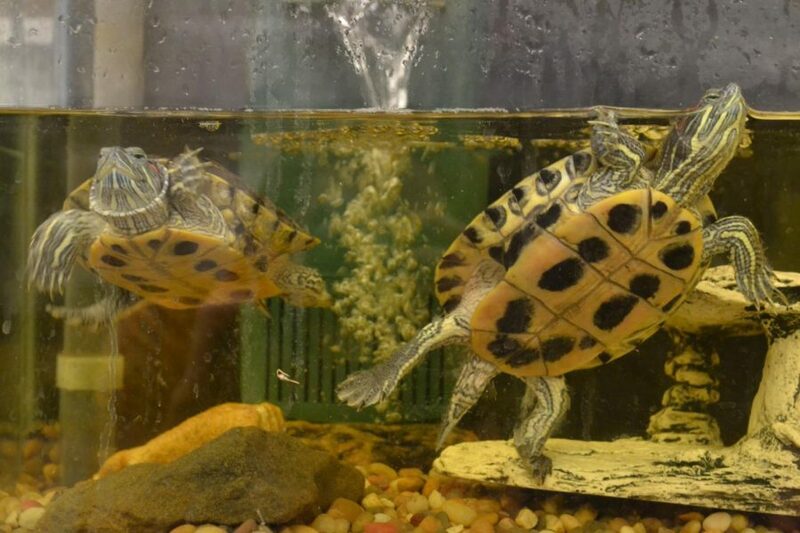 Lynas and Oswald are two loving, aquatic turtles that are owned by Mr. Smith, Biology teacher. They are both a type of turtle known as a Red Eared Slider. When Smith first got the pair, they were skittish and would dive into the water. After growing to know each other, Lynas and Oswald now follow Smith when feeding time is near. Lynas and Oswald enjoy snacking on turtle pellets and on special-occasions, such as their four-year anniversary of being Smith’s pets, they dine on mealworms, crickets, and cut up fruit.